Bernice Haydock is originally from west of the Queensland provincial city of Toowoomba. She discovered jazz relatively late in life (her mid twenties), but has been very productive since. 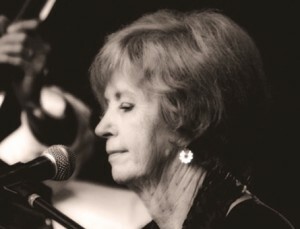 She commenced as a singer with the Toowoomba-based Windy City Jazzmen in 1977 and soon after became one of the original members of Brisbane’s Caxton St Jazz Band on piano. She has played with musicians such as Bob Barnard, Jim Cullum, Tom Pletcher, Jon Eric Kelso, Cynthia Sayer, the late Tom Baker, Nina Ferro, Ed Wilson, Mike Hallam, Eric Holroyd, Brett Iggulden, and Paul Furniss. 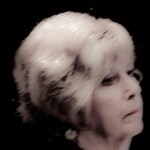 In 2000, Bernice toured Europe with the composite “Hot Gossip Jazz Band”. She was also a member of the 80s San Francisco revival band, “The New Yerba Buena Jazz Band”, formed by Tony Ashby and the late Tich Bray. This group made two recordings which featured numerous tunes by Australian composers as well as Lou Watters/King Oliver/Louis Armstrong classics. Bernice has a natural gift for music, and is a talented arranger and a natural harmony singer, as well as having her own unique solo vocal style. She is a primary music teacher in the Qld Education Department.